Zoë Rose is a highly regarded hands-on cyber security specialist, who helps her clients better identify and manage their vulnerabilities and embed effective cyber resilience across their organisation. Whilst retaining deep technical expertise, Zoë has developed extensive experience in designing and executing cyber security awareness programmes to help people become more aware of cyber threats. 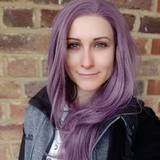 Zoë is a Cisco Champion, Tech Field Day delegate, and certified Splunk Architect, who frequently speaks at conferences and is quoted in the media, and most recently featured in Vogue Magazine.